Polio cases have dropped by over 99.9 percent since 1988, and the world now stands on the threshold of eradicating this dread disease and thereby eliminating the threat of polio-caused paralysis to every child in the world. 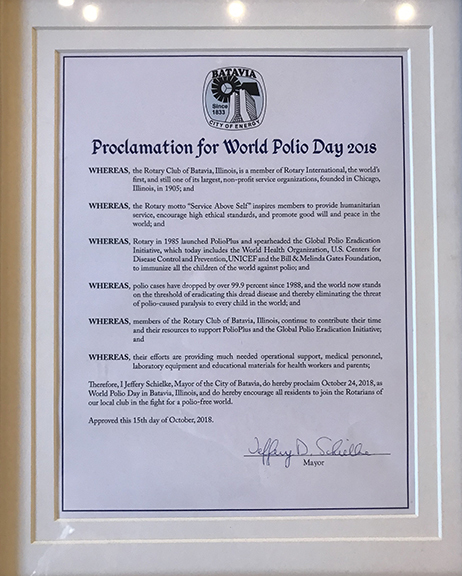 October 15th at the Batavia City Council Meeting Mayor Jeff Schielke proclaims October 24, 2018 as World Polio Day in Batavia, Illinois. 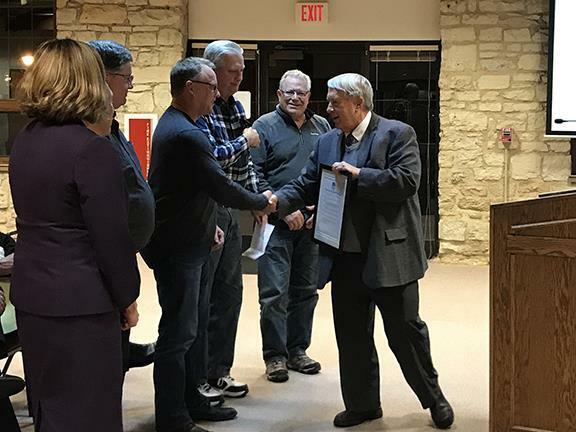 Batavia Rotary Club has pledged to continue to contribute their time and their resources to support Polio Plus and the Global Eradication Initiative. We encourage all residents to join the Rotarians of Batavia and the world in the fight for a polio-free world.